Kids’ Meals Annual Harvest Luncheon brings together corporations, foundations and Houstonians interested in delivering hope to the future of our great city by investing in the next generation. The luncheon offers a VIP experience, Mimosas & Market-a curated group of incredible vendors offering a collection of unique items to kick-off your holiday shopping, a spectacular silent auction crowned by an outstanding program with speakers like Jeanette Walls, Jimmy Wayne, Chef Jeff, and Sean Tuohy of The Blind Side. 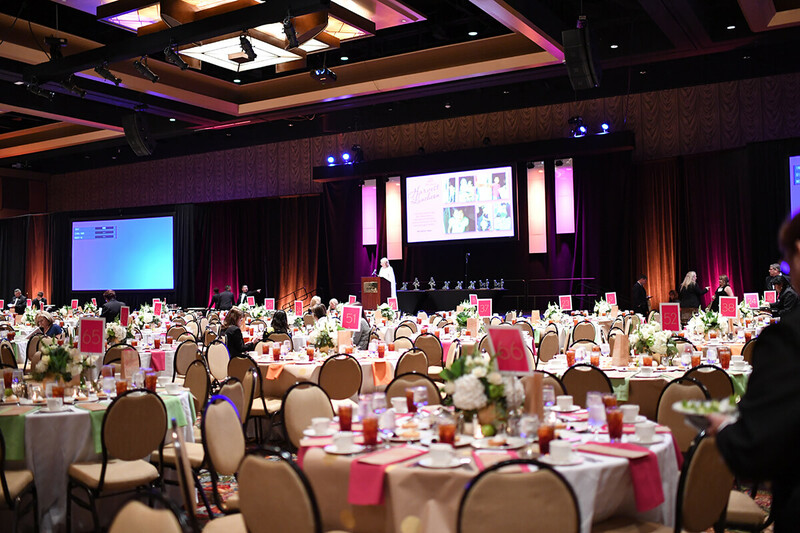 We are expecting more than 1,000 at the luncheon at the gorgeous Marriott Marquis in downtown Houston. Those are the words of NYT #1 best-selling author, Laura Schroff, inspiring speaker at Kids’ Meals’ 10th Annual Harvest Luncheon, Friday, November 2, 2018 at the luxurious Marriott Marquis Downtown. This is a significant anniversary year with an impressive line-up of honorees. Schroff brings to life her inspiring true story of her unlikely meeting with an 11-year-old panhandler in 1986. When Schroff first met Maurice on a New York City street corner, she had no idea that she was standing on the brink of an incredible friendship that would inevitably change both their lives. You won’t want to miss her inspiring story or kick-off the holiday shopping season at our Harvest Market & Mimosas that opens at 10:00! Tickets and tables are selling fast. Purchase yours today! For more information contact harvestluncheon@kidsmealshouston.org. Every $2 raised feeds a hungry child!